Ceiling Tile Cleaning Service – Don’t Forget about Your Ceiling. 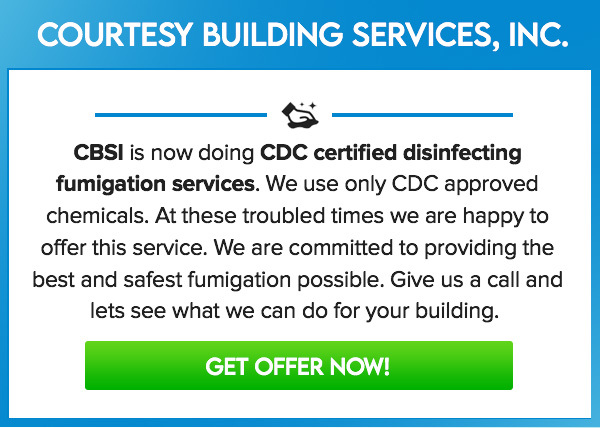 | Courtesy Building Services Inc.
Ceiling Tile Cleaning Service – Don’t Forget about Your Ceiling. A clean workplace is equivalent to a safe workplace. It’s also the same with businesses that have high customer footfall. Providing a clean and fully hygienic environment for your clients or customers ensures first impressions better and good place to work. The ceiling tile cleaning service of Courtesy Building Services is ideal for numerous kinds of ceilings and eliminates the need for any unnecessary tile replacement or painting where effective and simple clean would work. The specialized and unique ceiling cleaning process of Courtesy Building Services helps ensure sanitized and hygienic surfaces with a focus on textured and acoustical ceiling tiles and ceiling. No matter what is discoloring or marking your ceiling or process would remove and return it to like-new quality. Professionals can help you clean your ceiling for you. Your ceiling will be cleaned properly. Your business will be more hygienic and much cleaner. Improve the luminosity of premises with the cleaning process of Courtesy Building Services. As business owners, professionals are also energy conscious and get rid of the new to add extra lighting fixtures or paints. Fire safety must be a primary concern for your businesses, yet again painting your ceiling could affect the tile’s fire resistance properties. But, the cleaning process of Courtesy Building Services is different. It will keep your ceiling’s fire resistance properties. The acoustical tiles are made to absorb sound, yet not if you consider painting them all over. 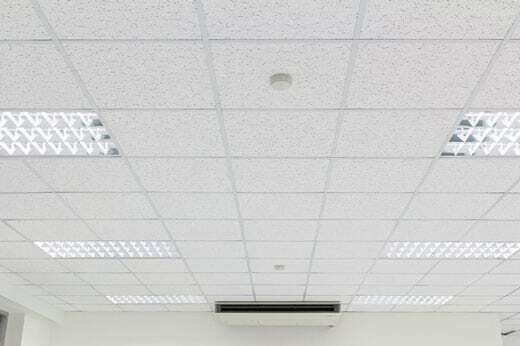 With the expertise of professionals in cleaning ceiling tiles, you can keep its acoustical value. Instead of replacing the tiles or painting to cover the unclean tiles, ceiling cleaning service is effective and affordable. That is the reason why you will get the best value of your investment with professional ceiling cleaning. Courtesy Building Services have worked with ceilings in unclean conditions and restored them to their best look. All of their professionals are well-trained, bonded, insured, and experienced, which guarantees professional and quick workmanship on businesses. So, expect no disruption, inconvenience or mess in your business. Hiring professionals for ceiling tile cleaning service may not be a good option for you, especially if it is not included in your budget. However, it is important to know that your ceilings might have an impact on the first impressions of your clients or customers. If you don’t want to end up losing some of your customers because of discolored ceiling tiles, you should not neglect the importance of hiring professional ceiling tile cleaning service. Available at an affordable cost, it can provide you lots of benefits in the long run and can help you boost the value of your business. Why You Should Sanitize Your Office Telephone and Computers? Janitorial Services vs. Facilities Services – What Makes Them Different?